Bravo to OBGYN! They’re taking their heads out of their keesters and changing the guidelines to repeated C-sections. “Once a cesarean, always a cesarean” is going the way of bloodletting. According to a recent report, the American College of Obstetrics (ACOG) is easing restrictions on which women will be allowed to have a vaginal childbirth following a previous cesarean. 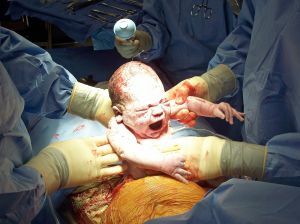 It has been the policy of the ACOG to deny women the choice of a vaginal childbirth in order to prevent uterine rupture at the scar from the previous surgery. However, the chance of this actually happening is less than 1%. Despite the low risk, most obstetricians and hospitals insist on performing the riskier surgery. In fact, the number of women going through “vaginal birth after cesarean,” or VBAC, has gone from 3 in 10 fifteen years ago to less than 1 in 10 today. “Why?” you might ask. Because the rare uterine rupture could lead to emergency C-sections, and many smaller, rural hospitals are not equipped to perform them. Emergency C-sections are much riskier than planned ones, and in ill-equipped small hospitals, it could be life-threatening. Add to this a few high-dollar lawsuits and no surprises that the choice of VBAC has been denied to many women. The numbers don’t lie though, and c-sections are expensive, so the National Institute of Health (NIH) strongly urged steps to reverse that trend that saw one third of hospitals and half of doctors banning VBAC. Talk about no choice. Dr. William Grobman of Northwestern University and co-author of the guidelines said women’s choice is “what we want to come through loud and clear….there are few times where there is an absolute wrong or an absolute right, but there is the importance of shared decision-making.” Indeed, good doctor. Nearly one third of all births is by cesarean, and even the most medical-worshiping patrons must admit…this number is very high. Although C-sections can be lifesavers in some cases, they do, in fact, increase the possibility of complications in the next pregnancy, some life-threatening, like placental abnormalities or hemorrhage. The ACOG in its wisdom states that C-section scars are now located on the lower part of the uterus, further diminishing chance of rupture during VBAC. And of those who attempt VBAC, say the ACOG, between 60-80% will deliver vaginally. Of the 20-40% that do not…well, they’ll get a C-section. No harm, no foul. I realize what a touchy subject this is among doctors and women. 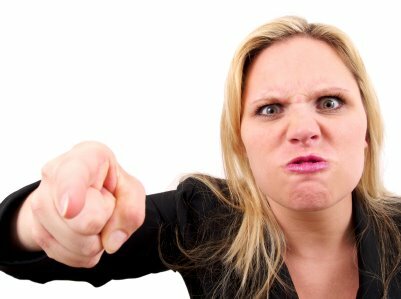 I am reminded of a previous post where a reader lambasted me for not understanding the discomforts of pregnancy and labor because, had I, I would not be so glib in badmouthing C-sections. Sheesh…I didn’t realize how some people just want a quick knife and be done with it. I get it now. But here’s the beauty of it for you women who despise the natural way of furthering the species: You can still have your choice of a planned cesarean. Can’t fathom the push and contract? No problem. C-sections are available. But for the women that actually would like to connect with nature, the restrictions were BS, and now they can try without some doctor denying them their rights. So you get yours, they get theirs, and we’re all one big happy family. ACOG did right. Bravo to them.